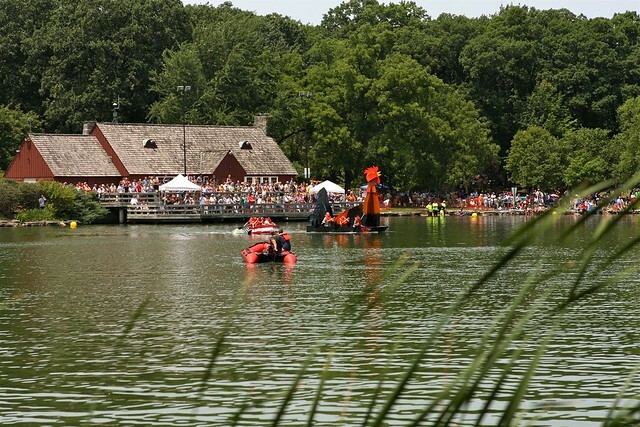 The Regatta features hand-crafted corrugated cardboard boats that race around a 200-yard course on Lake Ellyn. The boats can only be built of cardboard and nothing else. Some of the the boats sink while others zip through the course with no problem. This giant rooster boat was our absolute favorite!